In my last post, I mentioned that I've been using TDD and mocking quite a bit this year, and I've fallen in love. It's something I'm very keen on continuing with, as I've now seen that the benefits outweigh the extra time needed to develop your tests. Despite my growing cynicism towards anything even remotely joyous and celebratory, 2012 has been the best year of my life so far. I married my wonderful wife; celebrated 30 years on the Earth; visited a number of historic landmarks and cities in the UK; spent August travelling through nine American states, sampling a vast array of cuisine and witnessing some amazing sights; and dug my teeth in to a lot of patterns and technology that's really interested me. 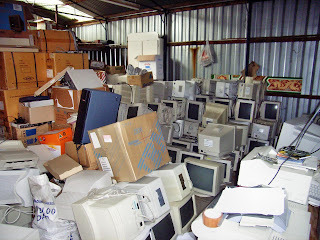 I've also started on the path to clearing out all of the junk I've accumulated over the past 15 years, which has turned out to be an extremely liberating experience, even if it means I had to bite the bullet and chuck out a vast number of things that "I might use before I die".